Need an AAT Qualified accountancy company? A N Perera & Co is an AAT qualified Accountancy and Bookkeeping company. We are based in Kingston upon Thames and are ideally placed to manage clients in London & Surrey. 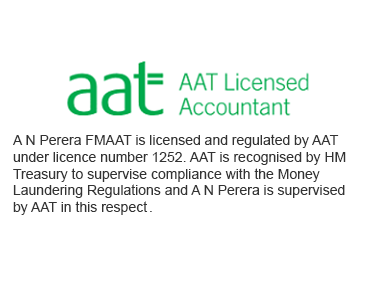 A N Perera & Co is a fellow member of the Association of Accounting Technicians. We have only attained this status due to the professionalism and length of time we have been established through the Association of Accounting Technicians. 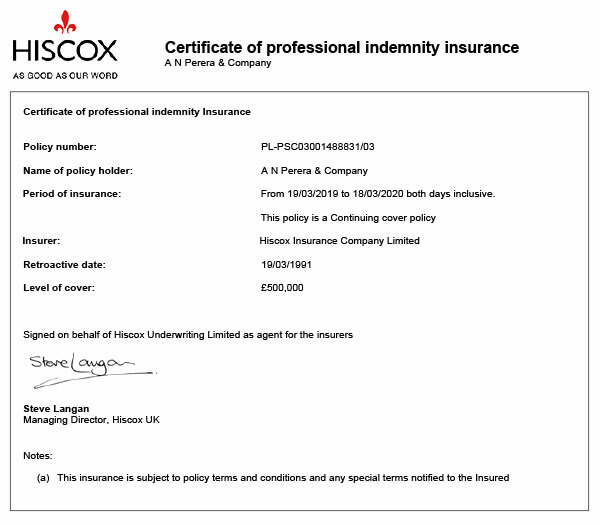 To protect its clients, A N Perera & Co are also accredited with professional indemnity insurance worth £500,000. A copy of this certificate can be found in the image gallery. If you require a local company to manage you bookkeeping or company accounts then look no further than A N Perera & Co. We offer a range of services for businesses, the self employed, and private individuals. Request a Free Call Back or Request a Free Consultation. We are looking forward to helping your business.